You may have heard in the news over the past few days that the UK’s rate of inflation has jumped to 2.9%, a four-year high that came as a bit of a surprise to many economists. But what does this actually mean for people and families up and down the country? It effectively spells higher prices for goods and services across the board, particularly clothing which has become more expensive due to rising import costs for retailers. According to the latest figures from the Consumer Price Index, petrol prices have increased from 1.8p a litre to 115.7p over the course of August, while diesel rose 2p to 117.6p. In both cases, experts say that this is also a continued knock-on effect from the falling price of the pound, which has dropped 13% since the Brexit referendum last June. 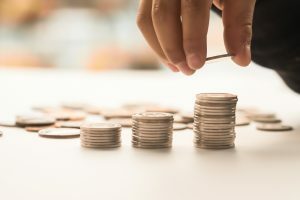 As for wage growth, recent statistics from the ONS also show that the value of the average British pay packet remains unchanged in months, and therefore lagging behind the rising cost of living. The challenge now facing households is working out how to stave off the impact of inflation wherever they can, particularly in the key areas mentioned above. The weekly shop. Most households have their preferred choice of supermarket nailed down, and this is often based on convenience rather than value. While most of the big UK supermarket brands may be closer to our home, or offer online delivery, it usually pays to scout around places like Aldi or Lidl to find bargain deals on your pricier purchases such as meat or alcohol. Get hunting! An alternative commute. If you’re a regular commuter and drive to and from work in the car every day, it’s worth weighing up the total cost of your weekly petrol against public transport options. This might mean that you have to get up slightly earlier in the morning, or make walking a bigger part of your daily routine, but that isn’t necessarily a bad thing – and if you stand to save a few bob in the process, even better. Track your spending. For those who are serious about making their monthly income go a little further, it might be worth downloading a personal finance app that can help you to measure and manage your daily and monthly expenditure. Most of these apps are quite intuitive and can be synced safely with your personal bank account. Clever, huh? Five years on, are we still feeling the impact of the financial crisis?